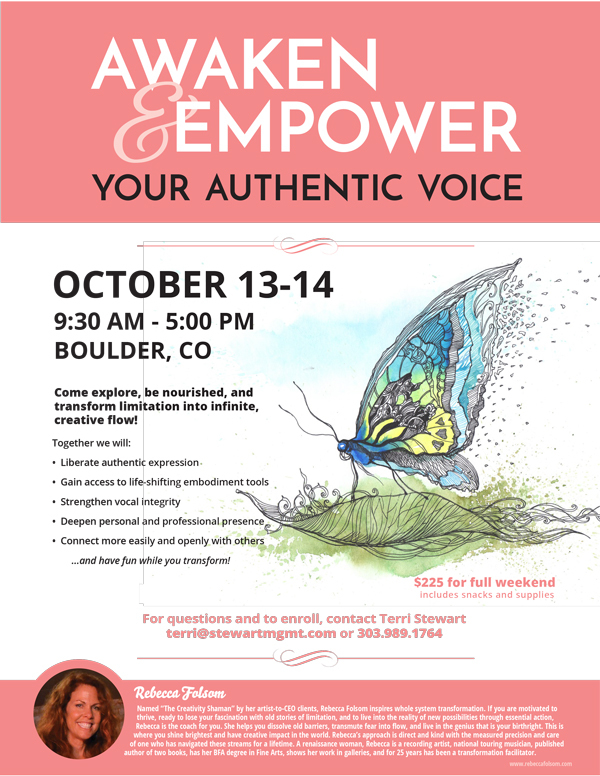 For questions about the workshop and to enroll, please contact Terri Stewart at terri@stewartmgmt.com or 303.989.1764. -Gain access to life-shifting embodiment tools. -Deepen personal and professional presence. -Connect more easily and openly with others. -And have fun while you transform! This workshop is for all who are ready to take the big leap into their most expanded, thriving selves: speakers, singers, business professionals, group leaders, life explorers. You. Come play, be nourished and transform limitation into infinite, creative flow!